As the silent white automated tram departed and slipped under the station roof-vaults, the distant view of the citadel is suddenly framed and revealed. 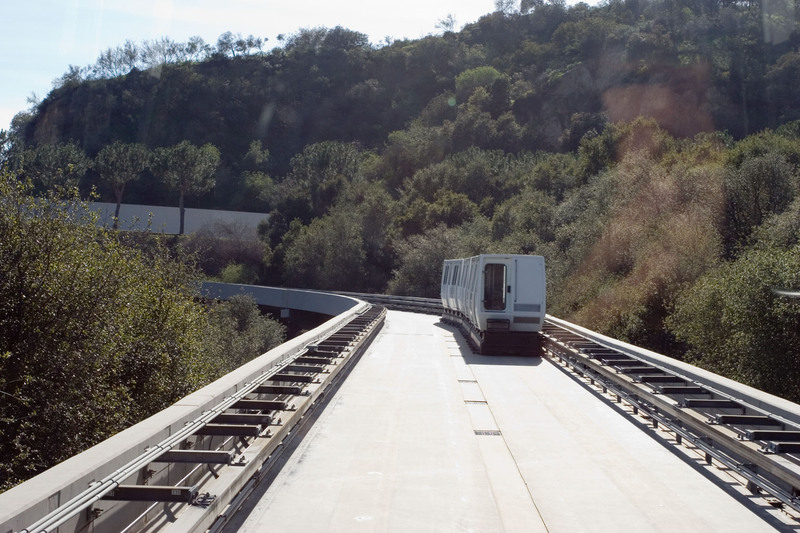 The ensuing serpentine clime of the tram track then takes over and provides constantly changing vistas of both the building clusters and the freeway, as we climb to a hilltop in the Santa Monica Mountains. The upward journey is symbolic – reminiscent of the ascent to the Acropolis in Athens, a peaceful, contemplative interval between the speed of the freeway, leaving the cars behind, I am unable to imagine the peace and splendor at the threshold of the exhilarating complex of architecture and landscape, vistas and sky all in unison. Stepping out of the tram and into the splendor of the first major public space a sense of enclosure and activity offers the promise of much more beyond. Clad in cleft-cut Italian travertine, the Getty Centre is organized around a central arrival plaza, and offers framed panoramic views of the city. Curvilinear design elements and natural gardens soften the grid created by the travertine squares. Like many people before me and after me, I went to the Getty with the idea that I was going to a museum with works of art inside, but rather, I visited a work of art with a museum inside. 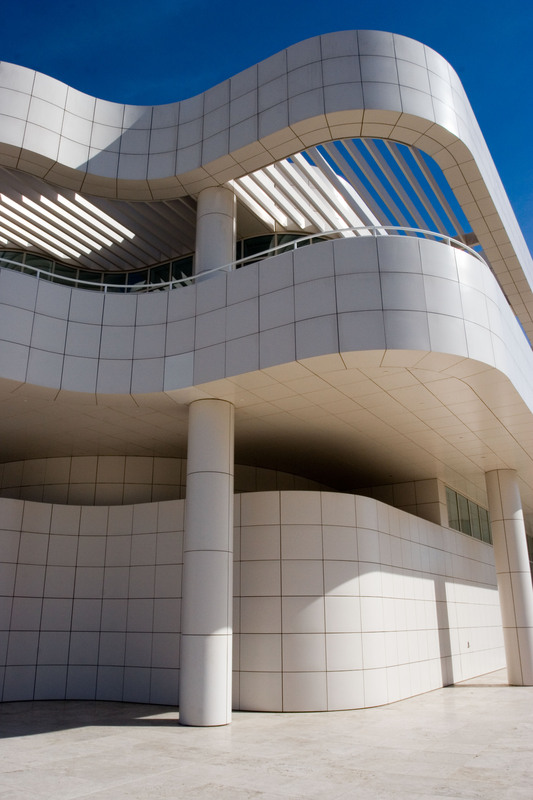 The Getty embodies the idea that the architectural space can be an artistic experience. 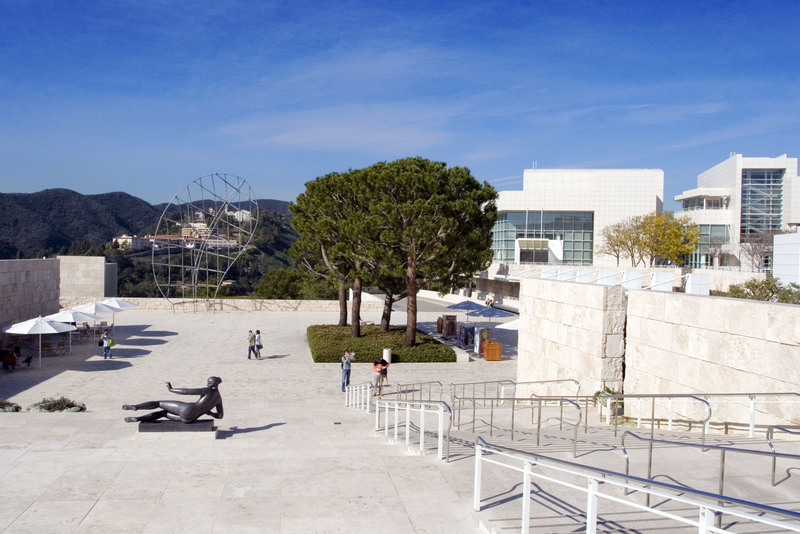 Architect Richard Meier used a few basic materials: metal, stone, and glass, to create a work of art that can excite visitors as much as the art collections inside.